About twenty years ago, I was sitting in an open house in Silver Spring. A young mother, who happened to be a single parent came to visit the home. I struck up a conversation with her. Janet explained she wanted to buy a home for her and her two year old daughter, Brittany, but was told she needed more money. I remember thinking that if this woman wanted to buy a home surely there must be a way to make her dream come true now. I took her name and number and promised to get back to her soon. I began to research and discovered a loan that would work for her situation. She was delighted! Within a month she had purchased a home. She said she was surprised that I was able to get her in a home when she had been told “no”, by others. I told her, that if someone really has the desire to get in a home, I will work hard to make that dream a reality. Needless to say Janet was very grateful. People like Janet give me my passion in real estate. It is an immense feeling of satisfaction to help someone realize their dream of home ownership. I was able to knock down the road blocks for Janet and Brittany. Because of me and my efforts their lives have improved. On several occasions I have been able to save my clients thousands of dollars. In one case, I saved a couple $800 per month on their mortgage payment on a new home purchase. Last year a woman named Sarah came to me to buy a home. She was doing business with a loan officer who was over charging her by thousands of dollars. I got Sarah out of that situation into a home for a lot less money. Another couple, whose home I was selling, were being threatened with a lawsuit. However, because I had kept detailed records of the transaction, there was no lawsuit. One of my biggest drives is being an advocate for people. In all the above situations I was able to protect my clients and help make their dreams come true. I would be delighted to provide this type of advocacy for you, your family or any of your friends. Ok some of the normal stuff. I have been happily married with three children for over fifteen years. I have a degree from the University of Maryland. I have lived in Montgomery County and now currently live in Laurel, Maryland. I started out in real estate about fourteen years ago with Weichert Realtors for the first year and half. 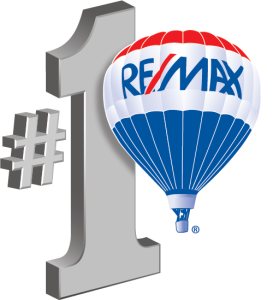 After that I switched over to Remax so that I could serve my clients better. Remax allows me the independence I need to do what needs to be done. I am currently with Remax Allegiance, the largest Remax in the world.